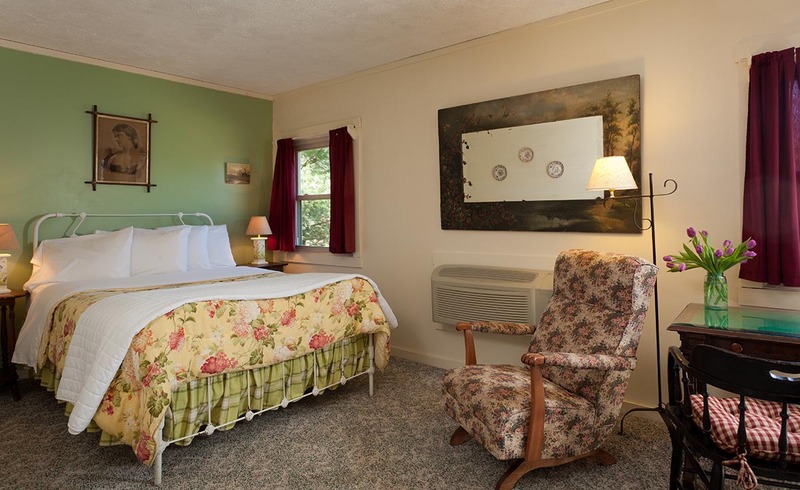 The queen size bed provides a peaceful night's slumber,small refrigerator, writing desk,and is decorated with country antiques. A perfect setting to watch the snowfall. 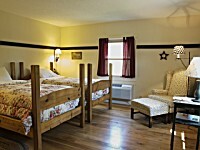 Twin beds were made by Innkeeper Terry. 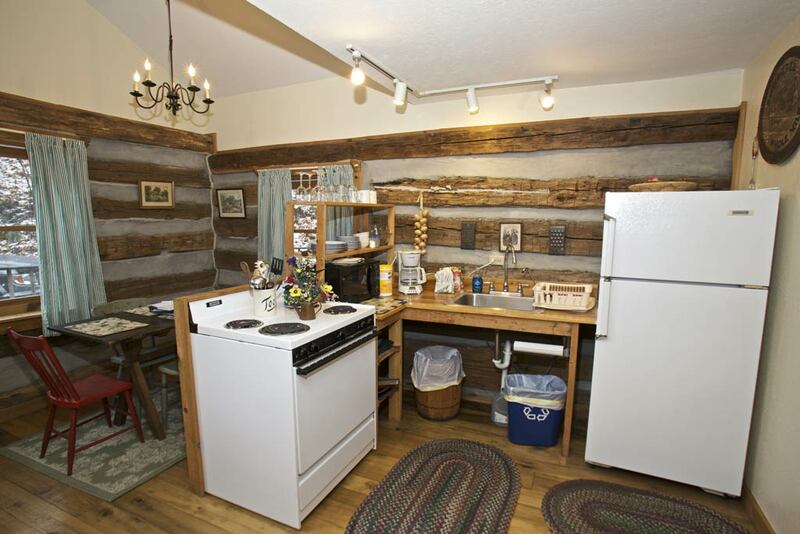 A small writing desk to put your thoughts on paper,small refrigerator,and is decorated with country antiques. 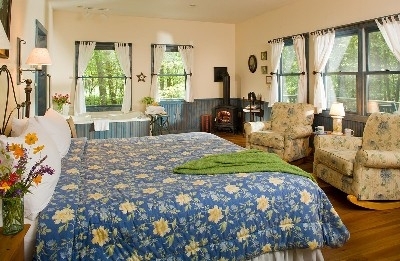 Perfect for a girlfriend getaway or larger families. Two separate bedrooms on the second floor. 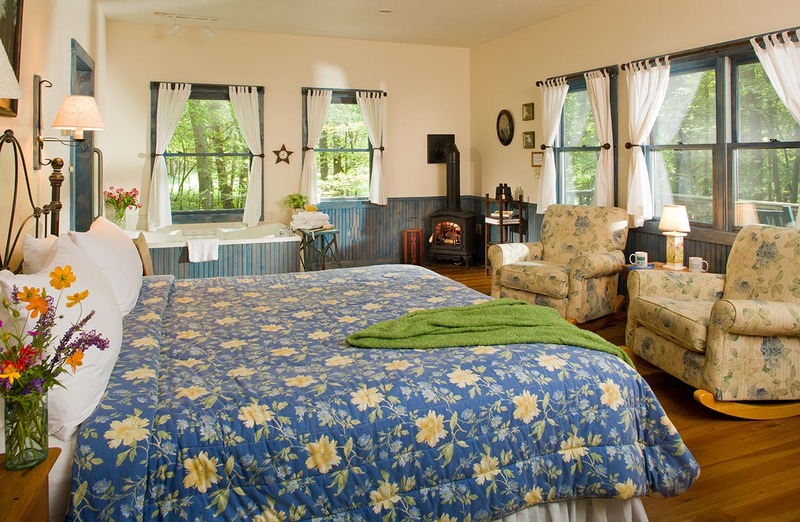 One bedroom contains a queen-sized bed, while the second contains a handmade log bunk bed with a twin on top, a full bed on the bottom and a full trundle bed. 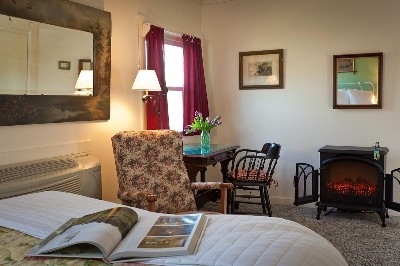 Red Bud is ideal for two couples and is handicapped accessible. 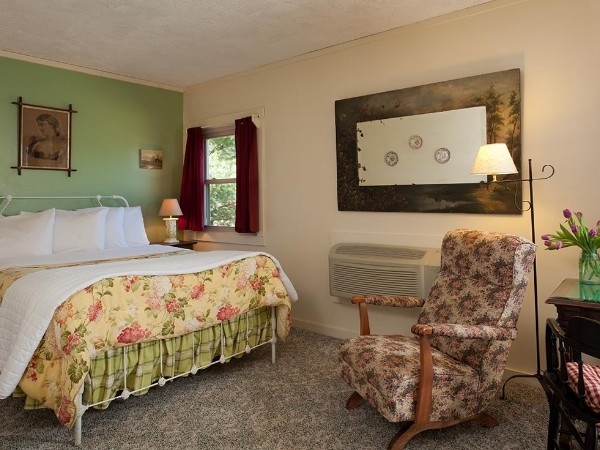 Each bedroom is delicately designed with a King size bed and it's own bathroom. The upstairs bath has a double shower head. 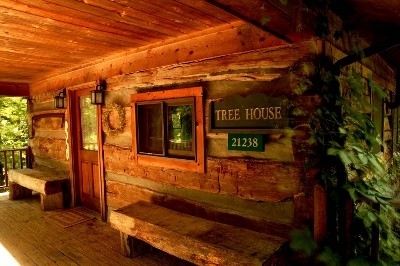 It is the last cabin on the lane. 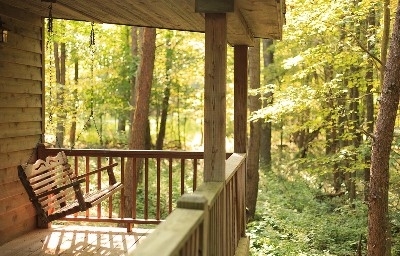 Dogwood is designed for one couple but can accommodate four. 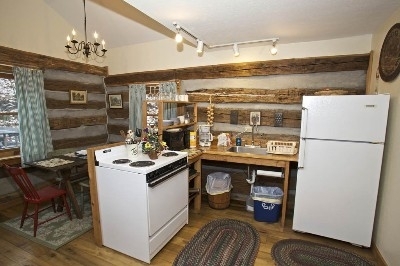 The first level has a kitchen, dining and living room and full bathroom. A spiral staircase descends to a large bedroom with a queen bed. 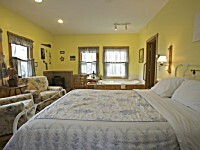 A murphy bed, in the living room offers a double bed. 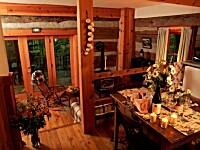 Transcend into an airy, open kitchen, dining and living room. 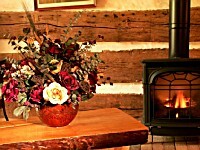 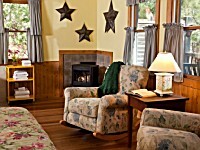 Cuddle on the couch in front of the gas log stove or enjoy watching birds frolic on the patio. 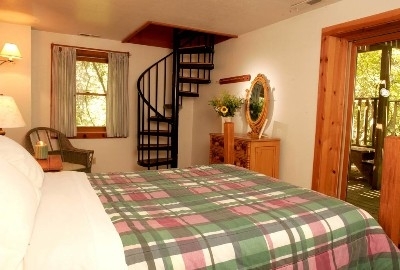 A spiral staircase leads to a cozy bedroom with a queen size bed. 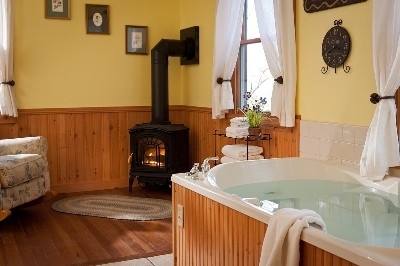 Two-person shower unit. 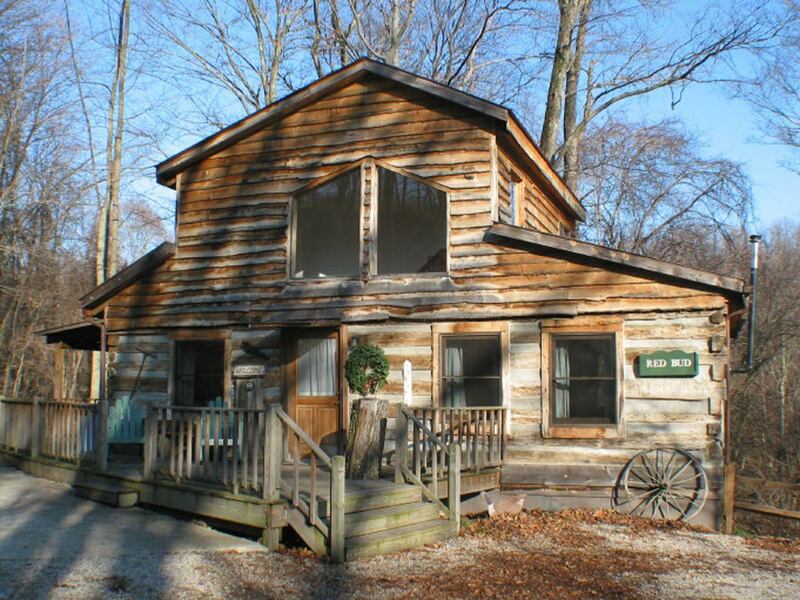 The most secluded of them all, it sits on the back 30 acres. 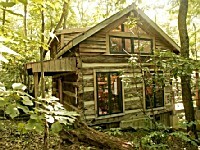 One end of the cabin has gable windows, allowing guests to view the pristine woods while frolicking in bed, soaking in the two-person whirlpool tub or sipping cocoa in front of the fire. Queen size bed. 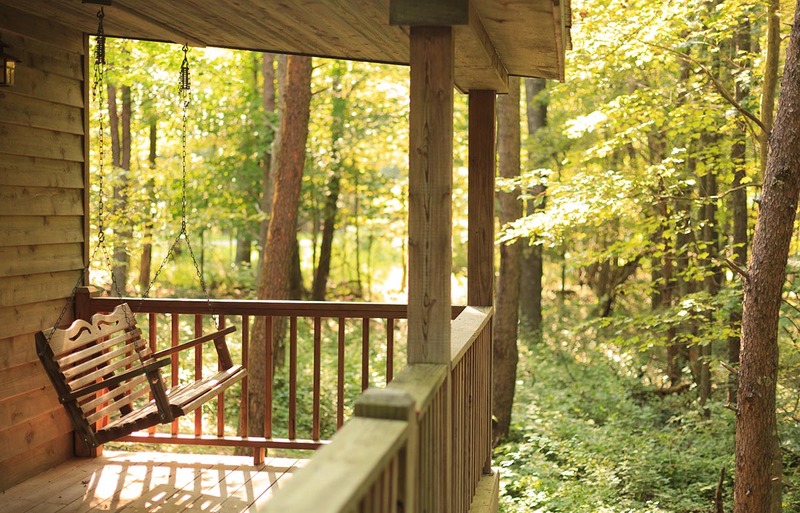 Featured are the private deck, gas log stove, whirlpool hot tub, shower and refrigerator. 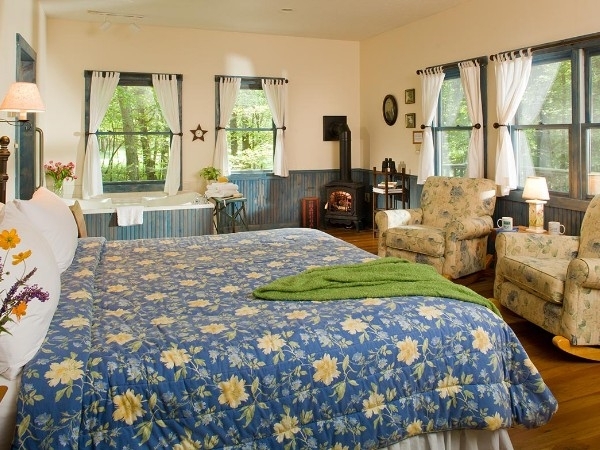 Romantic cottage with king sized bed, two person whirlpool tub, gas log stove, IPOD/CD docking station, microwave, refrigerator and individual water filter systems. 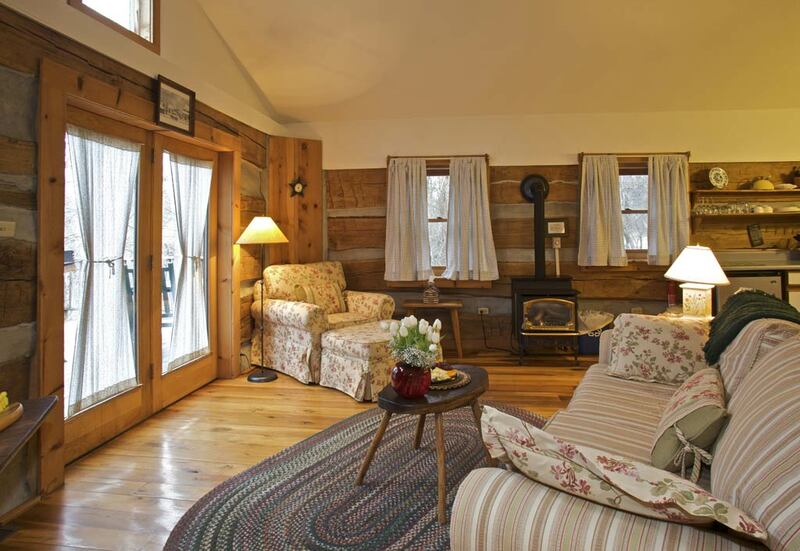 This cottage includes a whirlpool hot tub, shower, refrigerator, gas log stove, comfortable chairs and private deck. Designed for pet friendly travel.